An independent examination of the garda investigation into the death of Father Niall Molloy has ruled out further inquiries into the incident. And it concluded that some of the concerns expressed in recent years about the investigation were not supported by the evidence. Senior counsel Dominic McGinn, who was appointed by the government to take a fresh look at the garda review of the force's investigation following articles written by journalist, Gemma O'Doherty, recommended that another inquiry would not be warranted. Father Molloy's body was found in the home of Richard and Theresa Flynn at Clara, Co Offaly, on July 8, 1985. A garda file was sent to the Director of Public Prosecutions and Mr Flynn was charged with manslaughter and assault. But at his trial, the jury was directed to find him not guilty on both counts. Fr Molloy's death, Mr Flynn's acquittal and other allegations that surfaced since then, resulted in a major controversy. But Mr McGinn concluded that, given the passage of time, the death of so many pertinent witnesses and the reluctance of others to give evidence, it was unlikely any further inquiry would have a reasonable prospect of establishing the truth. Justice Minister Frances Fitzgerald, who published the report this afternoon, said she accepted his recommendation while fully appreciating that it would come as a disappointment for Father Molloy's family and for those, who campaigned on his behalf. She hoped they would accept that a considerable amount of detail was now being put into the public domain and every effort had been made to answer as many questions as possible. The minister said Mr McGinn's report brought greater clarity to many of the issues regarding the case and outlined how some of the concerns expressed were simply not supported by the evidence. The report also sets out some of the shortcomings in the original garda investigation while acknowledging that the precise events surrounding the priest's death could not now be ascertained. One of the unanswered questions is the precise time at which Fr Molloy sustained his injuries, as the medical evidence suggested he did not die for a considerable period after being hurt. Another question mark has been placed over the significant delay in calling the authorities. Mr McGinn said much of the conjecture about this was completely without foundation and some of the subsequent theories were contradicted by the available evidence. The comments made to gardai by Fr James Deignan about trying to keep quiet about the events at Mr Flynn's home, Kilcoursey House, were at best inappropriate and his motivation for making them remains unclear. 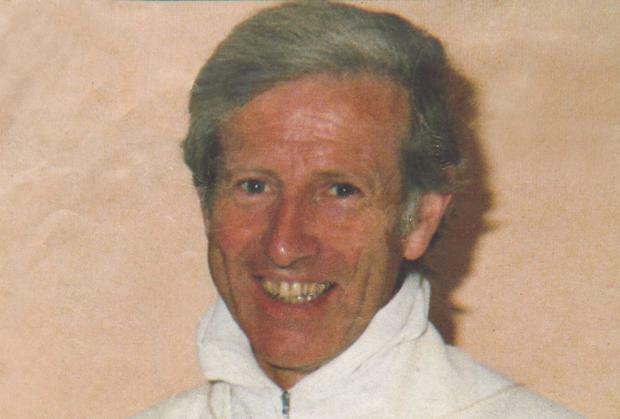 But Mr McGinn said it would be impossible at this stage to investigate that further, given Fr Deignan's death in 1998. Equally, the calm attitude of Richard Flynn when the gardai arrived at Kilcoursey House was a feature of the case, which many would find inexplicable. In light of the confession, made on a number of occasions, by Richard Flynn to inflicting the violence on Fr Molloy, the directed acquittal of Mr Flynn at his trial was extraordinary, Mr McGinn found. While much of the criticism for this had been directed at the trial judge, Judge Frank Roe, a careful reading of an assessment by prosecution counsel of the evidence revealed that the decision might have been partly attributable to the concessions made by State Pathologist, Dr John Harbison, under cross examination. Mr McGinn said his task was not establish the truth of what had taken place or even to venture an opinion about this, but merely to identify any issues of public interest, which might arise, and to identify matters, which would warrant examination by a further inquiry.